Modern neuroscience is providing profound insights into nature's most mysterious puzzle -- the human brain -- while applications of information and computer science are transforming the way people interact with each other and with the world around them. The new science of neuroinformatics, which sits at the junction, integrates knowledge and promises to catalyze progress in these dynamic and seemingly disparate areas of study. Neuroinformatics research will allow brain and behavioral scientists to make better sense and use of their data through advanced information tools and approaches. These include new ways to acquire, store, visualize, analyze, integrate, synthesize, and share data, as well as the means for electronic scientific collaboration.In this country, the principal source of support for neuroinformatics research is the Human Brain Project. The project, which is led by the National Institute of Mental Health, now supports neuroinformatics research performed by over 60 scientists. This volume presents the findings of the first group of researchers. Their efforts will begin to arm the next generation of brain and behavioral scientists with tools to attack the serious problem of information overload, and ultimately relate their findings to those obtained from different species, levels of biological organization, methods, and laboratories. And the challenges presented by the amount, diversity, and complexity of brain and behavioral data will give informatics researchers the impetus to test and expand the limits of their own science. 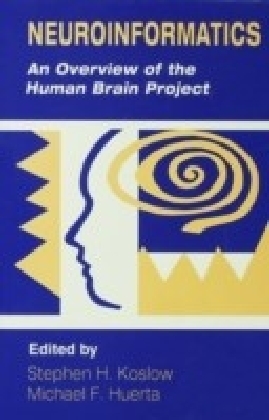 The work described in this volume signals a change in the way scientists interact with data, instruments and each other, and points the way to a very different and richer future understanding of the human brain and mind.